However, like any sort of technological area, challenges arise with mobile apps. Small businesses with mobile apps may find it difficult to design an app, or maybe you just can’t find the time to update and manage mobile application. That said, we’re here to help you get over those challenges, so let’s take a look at some of the biggest challenges facing small businesses with mobile apps and talk about solutions. Let’s say you just created an app for your online shoe store. The goal is to update customers on new products and send out push notifications for promotions. The only problem is you can’t seem to get people to download the app, making it useless. This is another challenge you may face when thinking about making a mobile app for your business. Not to fear, because it’s one of the easiest challenges to overcome, since platforms like iBuildApp make it super easy for beginners. To start, you can go to the iBuildApp template library and select a professionally designed theme that reflects your business. 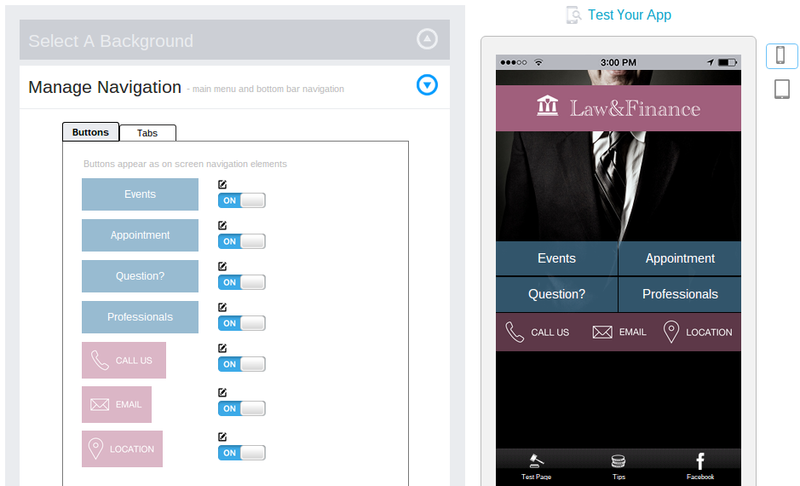 After that, a wide variety of features for contact forms, reservation forms, social media and more are included. 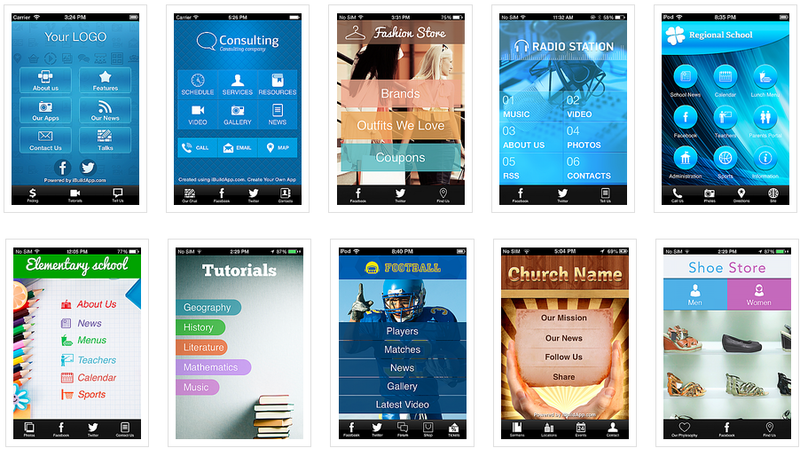 Many small businesses with mobile app think they can build a mobile app and let it sit until the end of time. Sure, making an app is exciting the first time, but it’s rather similar to a blog, in that you must constantly update it for it to work. This is where the combination of a reservation (or contact) form and push notifications come in. When you market your app, it’s essential that people see a quick contact button or form to call you for your services or products. That helps you acquire new clients. However, what happens after you’ve completed your services? If they don’t come back, send them a push notification, with a potential promotion, to bring them back into your business or back to your online shop. App growth is always key when trying to keep your customers around. After all, if a customer comes to your website and notices that the interface looks outdated, and the blog posts are from three years ago, there’s a good chance they will delete the app because it provides them with no value. The only problem is that if you expand too quickly and try to cram every little feature into the app from the start, with way too many content modules, you may end up diminishing the quality of your app. Consider this: As a small businesses with mobile apps focus all your design and development resources on the first few months when creating your mobile app. Don’t change anything about your design once it’s finished. After that, only update content and share promotions when you actually have new, and valuable, resources to give out. That strategy assists with creating a balance between quality and growth.